A quick view of the most influential metrics in Kailua. Kailua is a CDP and community is Honolulu County on the island of O'ahu. It is a coastal community with fourteen neighborhoods and is the 4th largest community in the Hawaiian Islands. It is also a nautical community with a rich history connected to the ocean, countless waterfront activities and entertainments and a plethora of breathtaking views. It is located on the windward coast of the island approximately twelve miles from the city of Honolulu. Kailua means two seas or two currents and it likely refers to the two currents flowing in Kailua Bay. It is a white collar community where over 85% of the workforce hold white collar positions. Many members of the communities work force work for the armed forces both in military and civilian capacities. Another sizable portion of the workforce is artists, designers and media workers. This concentration of artists along with the laidback island outlook have influenced the communities character and atmosphere. The community served as the residential sea of the O'ahu rulers for decades and was also the site of President Obama's winter white house. The Ulupo Maieu State Historic site also features ancient temple ruins from the area's early history. But today, the community is primarily a well-educated residential community where more than 46% of all adults have for year degrees or higher. This is more than twice the national education average for U.S. communities. It is extremely diverse in terms of ethnicity and race and so much more. English remains the primary spoken and written language in the community, followed by Japanese and Spanish. It is a warm and welcoming community with a walkable downtown, unique shopping opportunities and gorgeous views of both landscapes and ocean waters. Kailua spans 10.6 square miles, 7.8 of land area and 2.8 of water. It is a wealthy community compared to state and national economic standards. The average commute time for residents of Kailua is approximately thirty minutes. However, public transportation is available in the form of bus service and many residents take the bus for their daily commutes. In 2010, the population was 38,635 and the population density was 3,700 people per square mile. In 2016, the estimated median household income in the community was $63,702 and the per capita income was $28,835. Also, in 2016, the estimated median house or condo value was $438,219, the mean price on all housing units was $454,204 and the median gross rent was $1,194. Education in the community is supervised by the Hawaiin Department of Education. There are nine elementary schools, one intermediate school and two high schools in the community. Area private schools include Le Jardin Academy, Trinity Christian School, the Haukailani School for Girls and others. 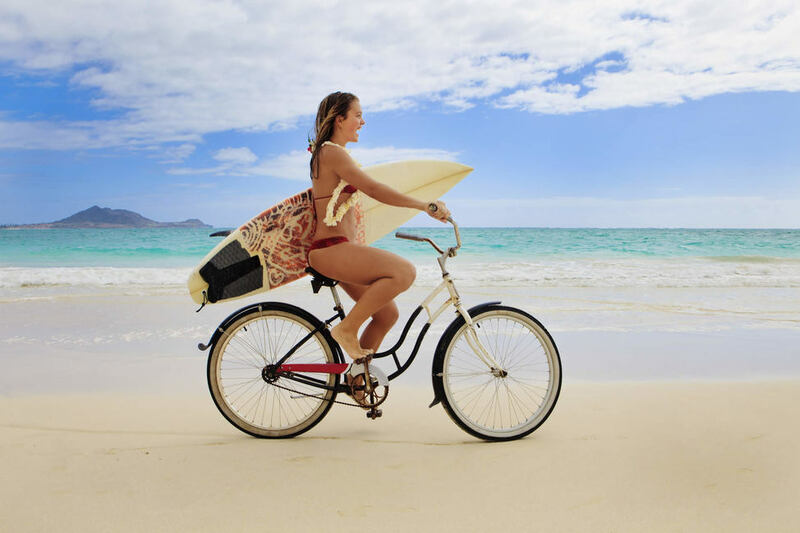 The community is home to Kailua Beach which has perfect conditions for board and body surfing, it is also popular for paddle boarding and kayaking. Also, nearby is the Marine Corps Base Hawaii, a thriving commercial district along Kailua Road and the beautiful Maunawili Falls, Nui Marsh and Lanikai Beach. Homes for sale come in a variety of sizes, prices, settings and styles. Other real estate options include apartments, condos and more. To begin your home search in Kailua, call local real estate agents Stefanie Cruz and Isabella Holmgren today at 803-348-0697. View our selection of available properties in the Kailua area. Check out the latest demographic information available for Kailua. Learn more about schools near Kailua complete with ratings and contact information. Browse through the top rated businesses in the most popular categories Kailua has to offer.